Less than a month before the PRINCE Tribute concert details have been revealed! A press release was also sent out to confirm the info which we have included below. On October 13th 2016, fans from around the world will have the opportunity to band together and celebrate the remarkable life and music of the legendary Prince at The Official Prince Tribute. The Xcel Energy Center in St. Paul, MN will be home to this incredible event which features an all-star line up of icons and friends including Stevie Wonder, Christina Aguilera, Chaka Khan, John Mayer, Tori Kelly, Anita Baker, Doug E. Fresh, Luke James, Bilal, Mint Condition along with Prince’s inner circle, Morris Day & The Time, Judith Hill and Liv Warfield. 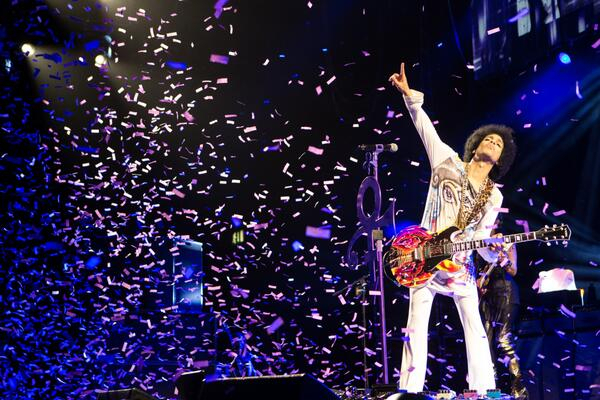 The New Power Generation (NPG) led by Morris Hayes, along with and members of 3RDEYEGIRL, will perform all songs. Tickets for The Official Prince Tribute go on sale Monday, September 19th at 10am CST. They are available at the Xcel Energy Center Box Office, by calling 800-745-3000 or online at http://ticketmaster.com . To charge by phone using Ticketmaster TDD/TTY, call 800-359-2525. Xcel Energy Center⁰- Regarded as one of the finest arenas in the world, Xcel Energy Center is home to the NHL’s Minnesota Wild and a multitude of premier sports and entertainment events annually. The one-of-a-kind, multi-purpose facility is located in the heart of downtown Saint Paul, owned by the City of Saint Paul and managed by Saint Paul Arena Company, an affiliate of Minnesota Sports & Entertainment.